Special report by Adam Blitz. 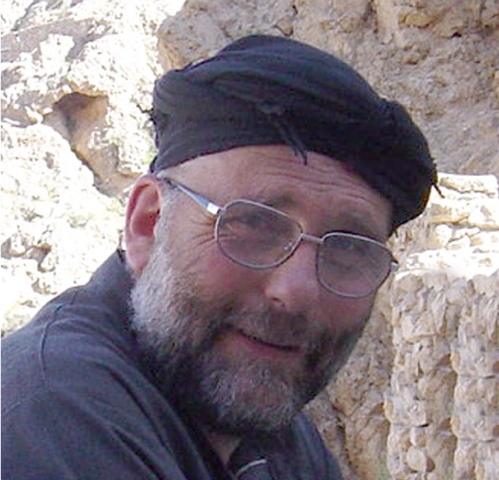 Monday, the 17th November 2014, marks the 60th birthday for Father Paolo dall’Oglio, the Jesuit priest, peace activist and long-time resident of the Syrian hinterland. It is also the 472nd day since his disappearance. In July of 2013 Father Paolo defied the wishes of the Jesuit community in Rome, where he lived briefly in exile, and crossed back into Syria via the northern border with Turkey. He proceeded to Raqqa, a town previously overrun by ISIS: an acronym for the Islamic State of Iraq and Al-Sham. ISIS governed the region from the Euphrates to the Iraqi border and it was these Islamists who were responsible for priest’s detention. This occurred at a time when Paolo had risked his own well-being and attempted to negotiate between the warring factions in a seemingly intractable conflict. Paolo is just one of several individuals who share the same fate. In January this year, five members of Medecins Sans Frontieres were reportedly kidnapped. This is in addition to the seven aid workers of the International Committee of the Red Cross. Earlier, two Metropolitan (Bishop) Boulos Yazigi, of the Greek Orthodox Church in Aleppo and Mar Gregorios Yohana Ibrahim (of the Syrian Orthodox Church) were also abducted. Journalists have similarly been targeted with Foreign Policy citing at least 30 cases of Western reporters held in Syria. Monday, the 17th November, the relatives of Paolo will remember him and the other hostages with prayers and gatherings through a moment of prayer and through their web site www.paolodalloglio.net. We will pray for the bishops and the priests from whom, like you, we had no news for a long time. We will pray so that a beacon of light or a soft breeze may bring comfort and support to you and to all the people that have been suffering for far too long. “Paolo’s vision was to create a monastic order dedicated to Abrahamic hospitality and Christian-Islamic dialogue and, until the war, Deir Mar Musa was a meeting point for Syrians of all faiths from across the country. We welcomed Christians but also many Muslims who were Sunni, Shi’ite, Sufi, Ismaili and so on, and who came in as many different varieties as the Christians. It was an ecumenical, interfaith project that was popular especially with young people and concentrated on social initiatives such as building homes to encourage young Christians not to emigrate in an effort to preserve Syria’s exceptional religious plurality. Dr. Loosley is currently working on a European Research Council funded project to explore the relationship between Syria and Georgia in Late Antiquity. She is well acquainted with Father Paolo dall’ Oglio whom she first met in 1997 when she visited the monastery of Deir Mar Musa during her PhD research in Syria. Subsequently she lived at Deir Mar Musa for 3 years (2001-2003) during which time she began excavations at the sister site of Deir Mar Elian in Qaryatayn. She continued working at Mar Elian and spent vacations living and working at Deir Mar Musa up until the current civil war precluded all archaeological investigations. The other side of silence is remembering, sharing, praying, and continuing the work of Father Paolo. Read more on Deir Mar Musa Monastery in Syria by Adam Blitz, see Moses and the Smoking Mountain. Tags: Abrahamic hospitality, Adam Blitz, Aleppo, archaeology, Christian-Islamic dialogue, Cultural Heritage, Deir Mar Musa, Dr. Emma Loosley, Emma Loosley, Father Paolo dall’Oglio, ICRC, interfaith, International Committee of the Red Cross, ISIS, Jesuit, kidnapped, Mar Gregorios Yohana Ibrahim, Medecins Sans Frontieres, Metropolitan Boulos Yazigi, MSF, November 17, Syria, Syrian Orthodox Church, women in science. Bookmark the permalink. Such a shame that in the name of god a small number of criminals at heart fight and torture decent people of all ages in a broad spectrum of religious and other convictions. May God protect father Paulo and everyone else in the middle east region…the world!. I have now set up a 60th birthday appeal for Paolo as I couldn’t give him a gift in person this year…The Community are really struggling in his absence and need donations urgently to help all the families dependent financially on them – they employed many local people in agriculture, maintenance and to help receive guests at the monastery, and they are now trying to sustain these families at the same time as they are rebuilding homes destroyed in recent hostilities… In addition they have taken in many internally-displaced people fleeing Homs and offer food and shelter to all – in actual fact they have more Muslim than Christian guests at the moment and are endeavouring to honour Paolo by demonstrating that this war is NOT going to destroy the religious plurality that made Syria such a special place in the past. If he could get a message to us, Paolo would say that it is the duty of us all to show solidarity with those bearing witness in Syria (solidarity being one of his most well-used words!) and this is one way of showing him and Syrians in general that we have not forgotten them!